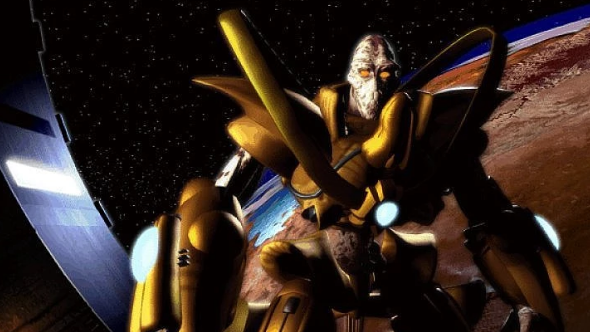 StarCraft is arguably a game about being in as many places at once as possible, but as the game came together it wasn’t at all clear how that was going to happen. Two programmers had opposite ideas of how unit A.I. should behave when the player wasn’t giving orders, and they fought back and forth in the game’s code, according to David L Craddock’s upcoming history of Blizzard, Stay Awhile and Listen: Book II. Pat Wyatt, a programmer and Blizzard’s vice president of research and development, recalled his tug-of-war with an unnamed team member over A.I. While Wyatt wanted units to behave somewhat autonomously, his interlocutor thought units should only react to player commands. The crunch was brutal, but it led to a classic. StarCraft II is on our list of the best strategy games on PC. “I wanted units to be smarter like they were in WarCraft, and he wanted them to be dumber because he wanted the player to be making the decisions, which provided more tactical advantage to players who were better at manipulating units,” Wyatt recalls in Chapter 7 of Craddock’s book. The two programmers would independently implement their changes, each going in and rewriting the StarCraft code to undo their competitor’s work. Neither was willing to back down, and the constant writing and rewriting of StarCraft’s A.I. system meant more work for both parties. But as Craddock describes in his book, the culture of Blizzard at the time was fiercely competitive. Stay Awhile and Listen: Book II digs into this era in the company’s development, and Craddock has provided Chapter 7: Hubris or Fear as a preview, which you can read in full here. He’s crowdfunding the book’s publication, and more information on it can be found on Kickstarter. As for the A.I. fight, it seems Wyatt’s preference for semi-autonomous units won out. StarCraft units will react to enemy fire and pursue retreating troops. It’s interesting to imagine what StarCraft macro might have looked like had his opponent’s idea won out in the final cut.